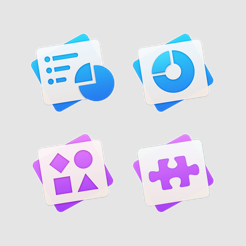 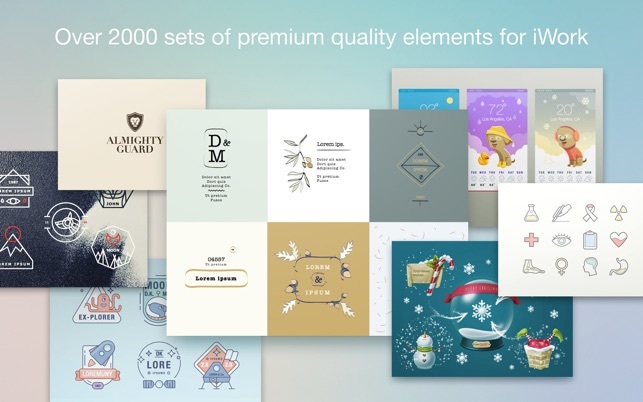 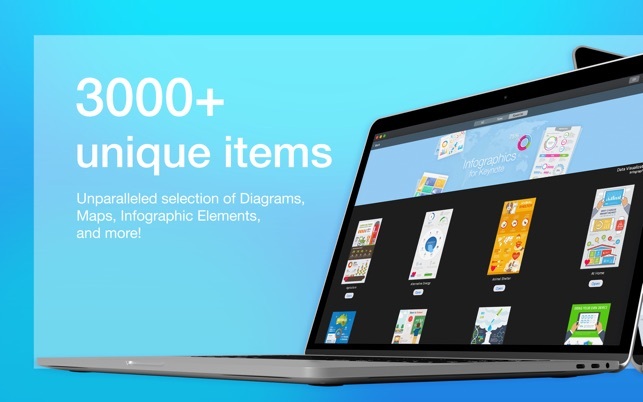 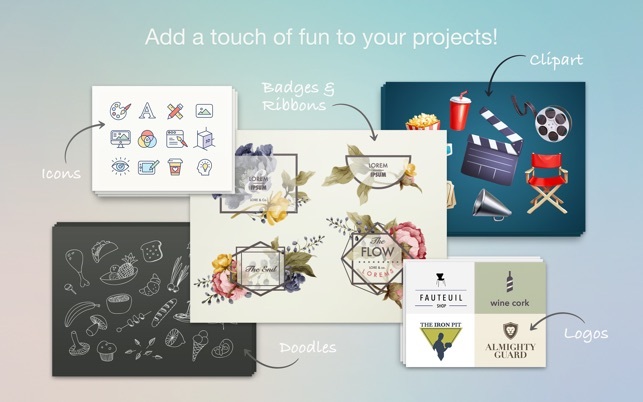 Get the essential set of acclaimed Keynote tools from Jumsoft! 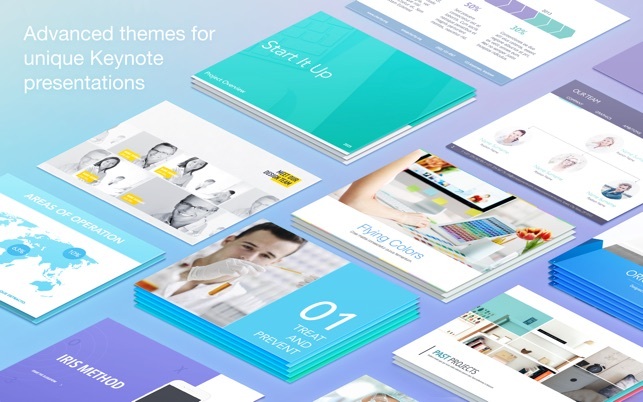 Hundreds of professional Keynote themes and layouts - fully featured and ready for showtime! 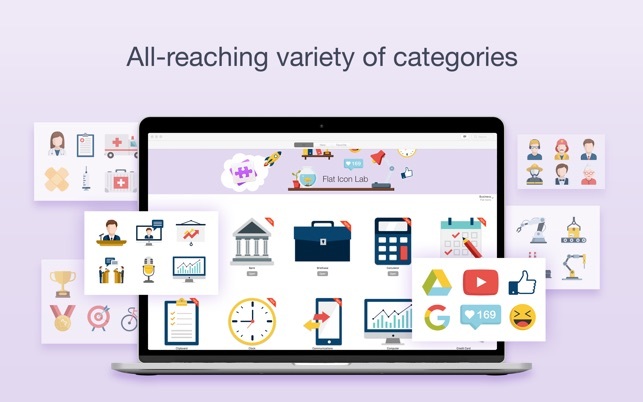 Infographics Lab - filled with customizable diagrams, charts, data visualization sets, and much, much more! 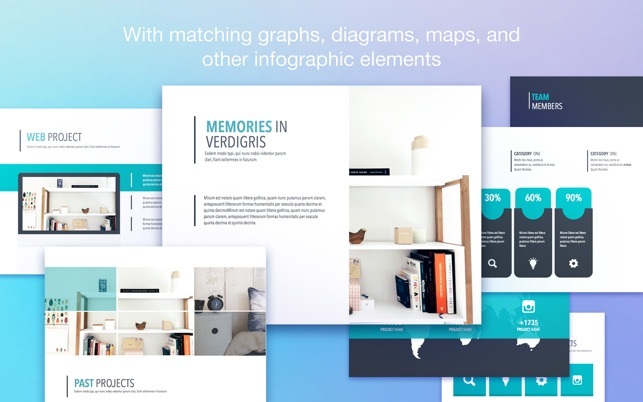 Elements Lab - captivating decorative elements to make your presentations and documents stand out every time! 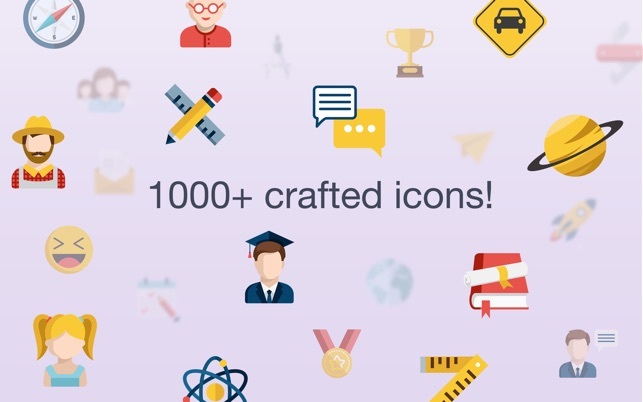 Flat Icons Lab - a 1000-worth collection of sleek icons for visualizing your content. 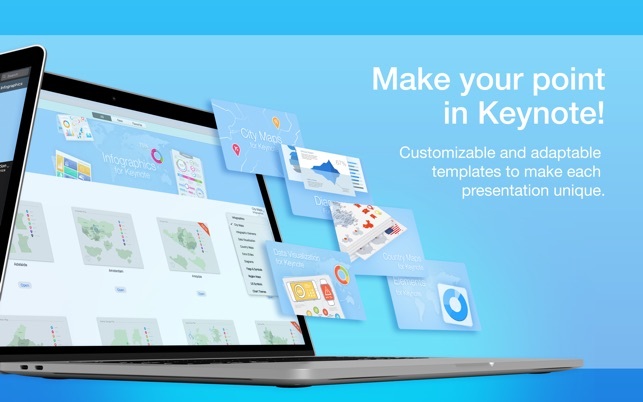 Creating effective, amazing Keynote presentations has never been easier!